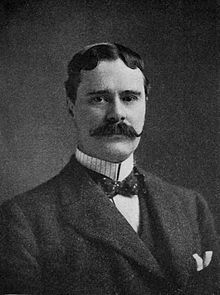 Owen Wister (July 14, 1860 – July 21, 1938) was an American writer and "father" of western fiction. The Virginian (1902), pp. 29–30. Reported in Respectfully Quoted: A Dictionary of Quotations (1989), as presumably the forerunner of "Smile when you say that, partner". The Virginian (1902), chapter 13, p. 149. An aristocrat in morals as in mind. About Oliver Wendell Holmes, Jr., in Roosevelt: The Story of a Friendship (1930), p. 130.